Guests with walking difficulties may be dropped off by car at alternative entrance marked “Lieferanten & Behinderte”. Dogs – except guide dogs – are not permitted. From the train station, take local bus service no. 391. 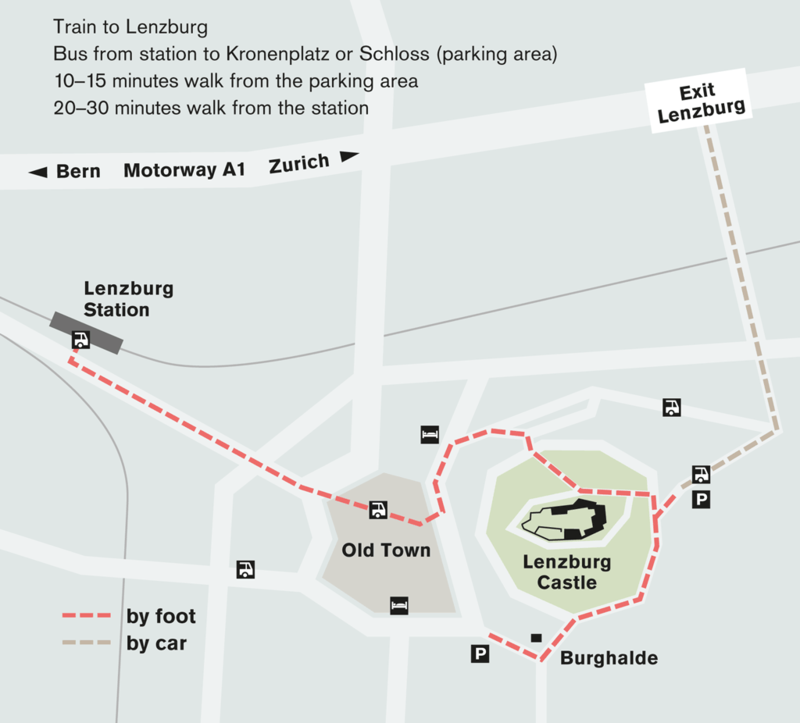 Stops at the parking area and “Kronenplatz”, located in the old town just below the Castle.